Taste excellent wines with intoxicating aromas and intense texture along with indigenous unique local varieties such as Kydwnitsa and Mauroudi. Explore Laconia with its castles and remarkable landmarks like Mystras, ancient Sparta and the medieval town of Monemvassia while enjoying excellent accommodation and great cuisine. Where else but in Greece can you walk in the footsteps of Dionysus? Or trace the poetic thread that connects the wines consumed in the time of Plato with the greatest Greek labels of today? 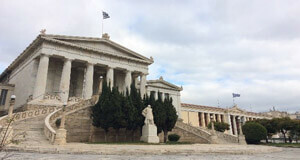 Here is an epicurean’s adventure built around the ancient Greek concept of ‘symposium’. A feast for the mind and the senses through the convivial marriage of food, wine and philosophy. Wine and culture tour. Over 300 indigenous grape varieties grow across this sun-drenched country, especially in the Peloponnese. Greecefully invites you to sample the very finest of these wine labels on an 8-day tasting tour. 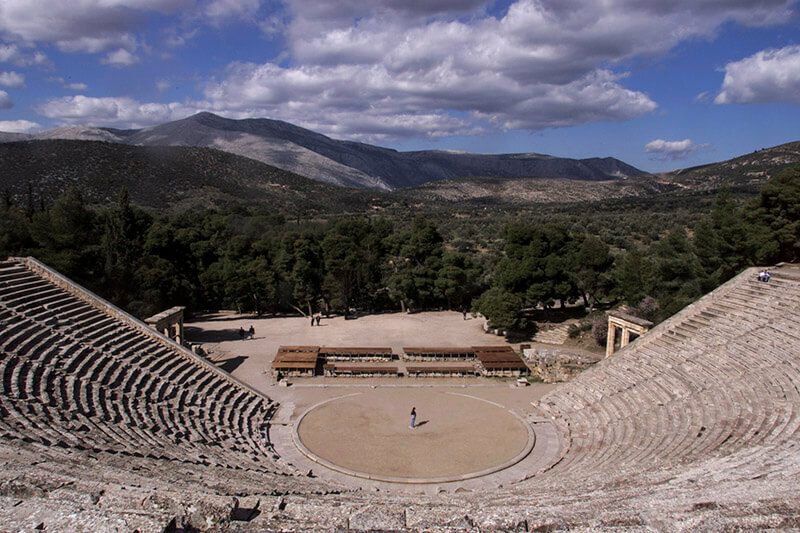 Visit singular archaeological sites such as Epidaurus and Mystras and feel the mighty mythology of the past imprinted on the breeze. Travel at your own leisure in a rental vehicle and discover all of the exclusive places that we have so meticulously chosen for you (self-guided tour). Or journey in an air-conditioned mini-bus, enjoying the camaraderie of a small group of like-minded souls from all over the world. Wine and culture tour. 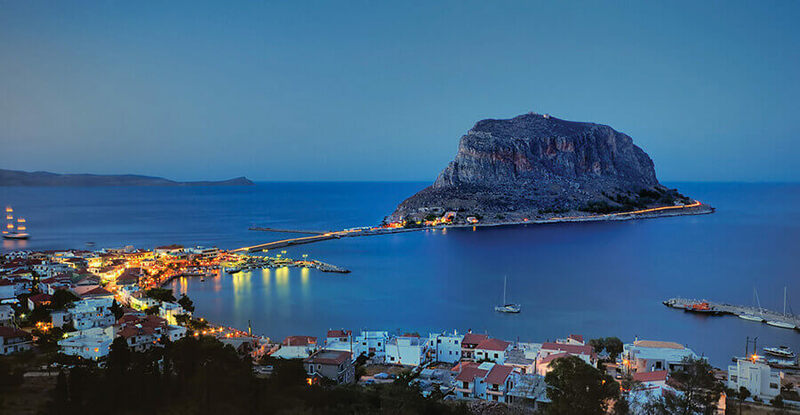 Discover Greece of diversity, quality, gastronomy and exceptional sights. Tours & tastings at premium wineries. 7-night accommodation in 4* hotels (based on double occupancy). Transportation to/from the airport, destinations (for self-guided tours car rental type D included). 7 breakfasts, 6 meals & 2 gourmet meals. Admission fees to all archaeological & cultural sites (optional for a self-guided trip only). 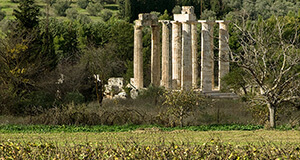 Depart for the prestigious wine region of Nemea in Argolida. 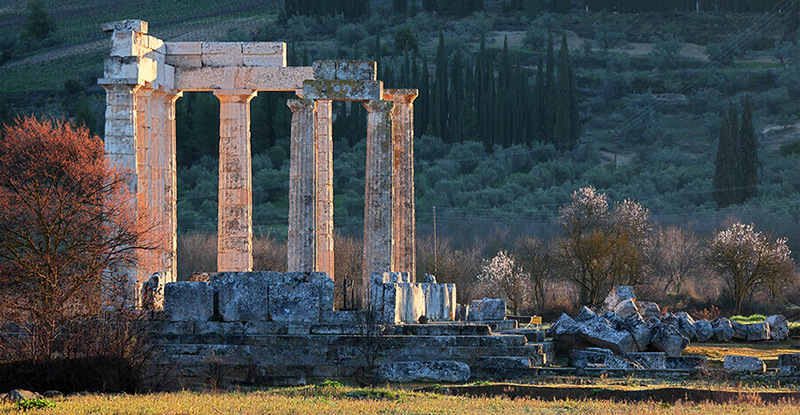 Nemea is famous for its trademark Agiorgitiko variety, one of the world’s finest reds that have been cultivated since antiquity. Your first wine tasting will take place in an award-winning vineyard. 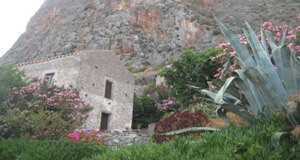 You will be dining on traditional local cuisine and you‘ll have time to discover the archaeological sites of the region. 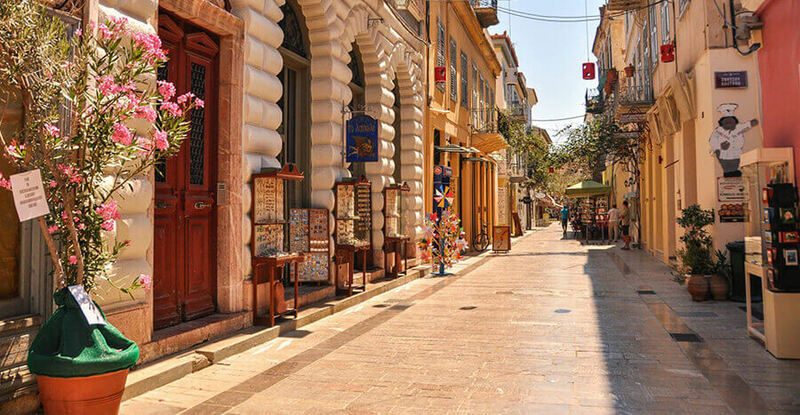 A boutique hotel right in the heart of the beautiful and charismatic city of Nafplion will be your home for the next three days. 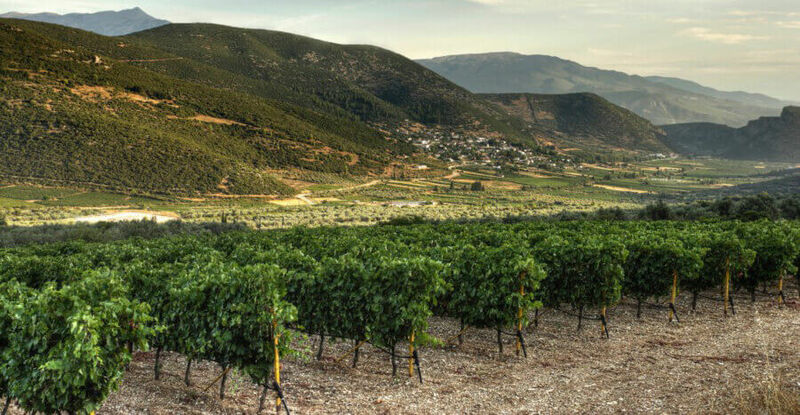 Head to mythical Mycenae, one of Greece’s most significant archaeological treasures and a Unesco World Heritage site, and then return to the ancient vines of Nemea to relish some world-famous labels. An elite winery will host your lunch. Next, you’ll sample heavenly bio-products such as balsamic vinegar with honey at a superb organic vineyard. Wine tasting and a meal at an elegant Nafplion restaurant conclude your day. Wine and culture tour. 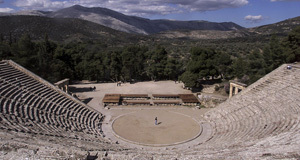 This morning, excursion to the world-renown theatre of Epidaurus. Afterwards, you’ll be passing through a pretty village known for its dairy produce, where you’ll stop to taste their local specialities. Another prominent winery in the region will open its doors to you for a tour and tasting of pioneering Agiorgitiko-Cabernet Sauvignon, its epitome of finesse. 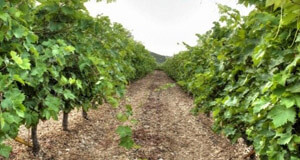 Your route back to Nafplion will pass through impressive vineyards and locations. 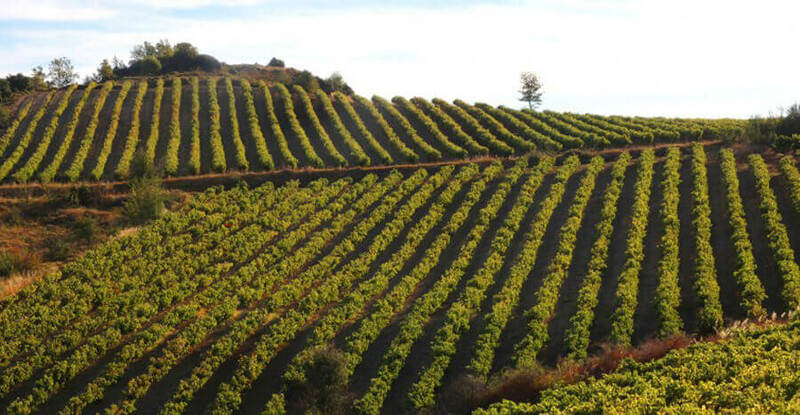 On your journey to Laconia today, a visit to a historic and beautiful viniculture site of Mantinia is a must. Sample truly exceptional local wine varieties made using traditional hand-made techniques such as the famous white Moschofilero (the original “blanc de gris”). Moschofilero is a crisp and refreshing premium white with an upbeat rosy flavor. Lunch involves authentic local cuisine. Soon, you will arrive at Laconia, where you’ll stay for the next two nights at a premium stone guesthouse. Wine and culture tour. Enjoy a great breakfast from local products and prepare for more private tastings at local wineries where you’ll discover some rare grape varietals such as the lemony white Kydonitsa and the thin and complex red Mavroudi, often likened to Pinot Noir. 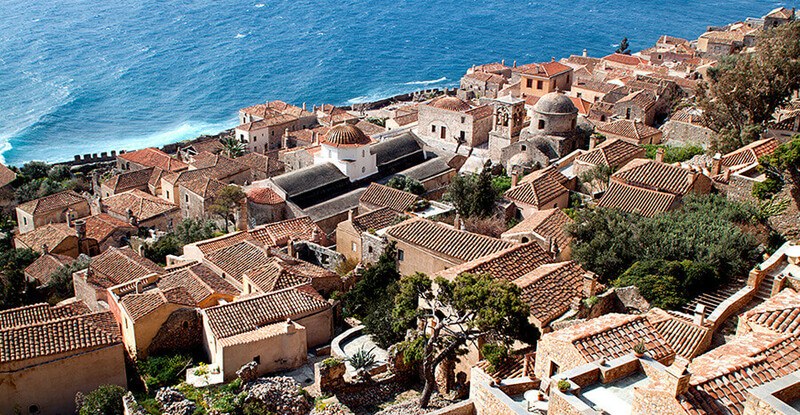 Your day will be enriched also by visits to some the region’s cultural highlights – such as Ancient Sparta and the stunning medieval castle town of Monemvasia. Once there you will sample some simply stunning Malvasian wines. 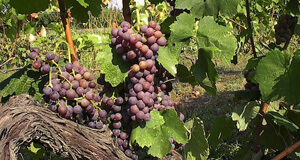 Made famous during the Middle Ages, considered the “wine of Kings”, Malvasian varieties are typified by naturally-sweet whites and are equally valued on the global viniculture scene of today. Depart for Athens. 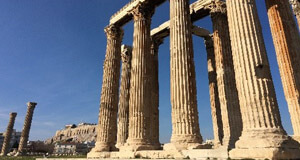 We have saved two of the finest for last with a cultural visit to the Acropolis and the Parthenon, one of ancient history’s seven wonders, combined with a tour of the superlative Acropolis museum. Bid farewell to Greece with a final wine-tasting that has been organized to mark a fitting climax to your visit. 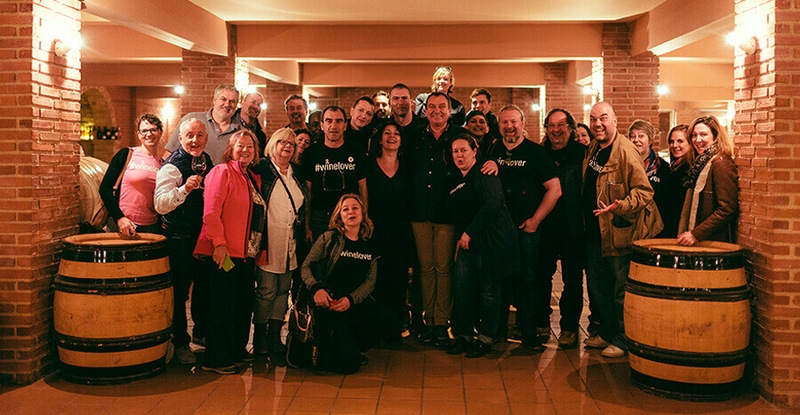 We hope that this trip will resonate in the “cellar” of your memories until you next return to us.